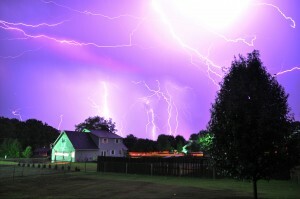 I use my Nikon D5000 to take a lot of lightning photos. This one to the right is a composite of several taken during a storm that produced a good amount of of photogenic lightning a few years back. The photos that make up this one and many of my others were created using timed exposures of up to 30 seconds on length. This is problematic, at times, due to other light sources, camera movement, etc. 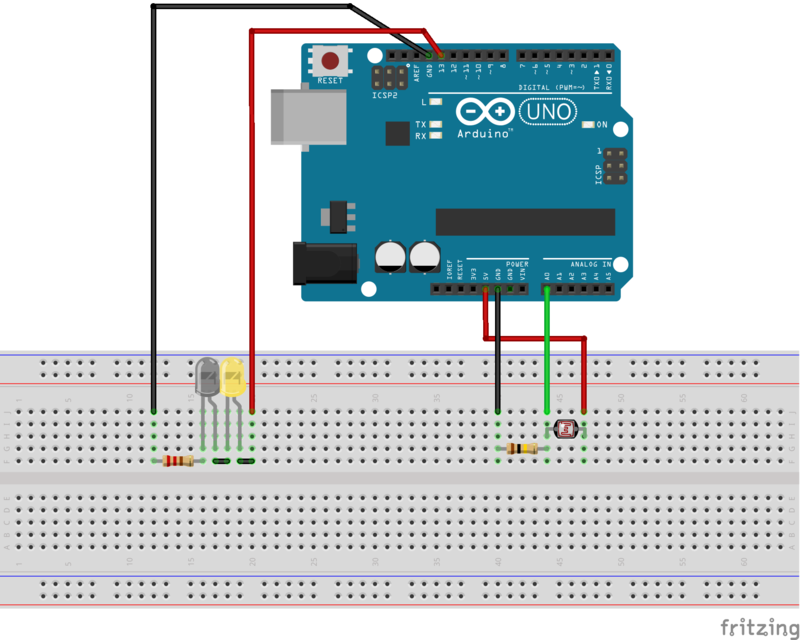 Using simple, arduino-based circuit, we can create a device that will attempt to detect lightning strikes and trigger a camera shutter when one is detected. This circuit consists of 2 major pieces: lightning detection and shutter triggering. To detect lightning, a phototransistor or photoresistor is required. 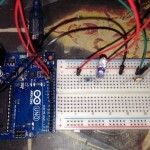 For this project, I used a photoresistor. To trigger the shutter, a 940nm infrared LED is required. These LEDs can be used to trigger cameras from Nikon, Canon, Pentax, Olympus, Minolta, Sony and possibly others. Below is the complete parts list I used along with links to them on Amazon. 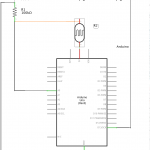 This circuit’s method of detecting lightning with a photoresistor is pretty simplistic. 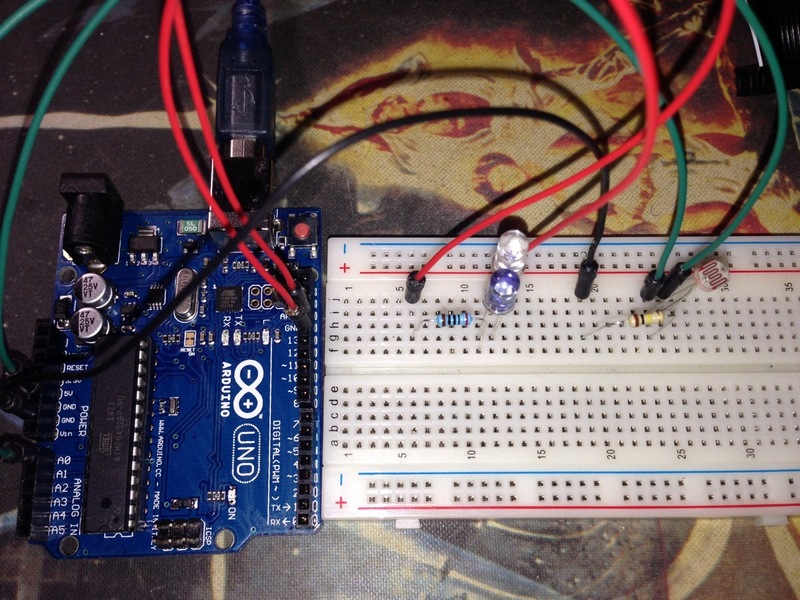 It simply loops infinitely recording the analog input from the photoresistor, taking the difference of it to the saved value, and comparing that to the configurable threshold. In its current configuration, it will take 2 photos per lightning strike. This is the first iteration of this code, so I may change it to use a moving average instead of just the last recorded value. To fire the IR LED in the right sequence, I used the Multi-Camera IR Control Library since it supports my Nikon D5000. In addition to the D5000, this library supports Nikon, Canon, Pentax, Olympus, Minolta, and Sony cameras. If you don’t have a camera that is supported, a custom interface could easily be created with specifics for your camera model. Since the protoype is fully functional, I plan on fielding it during the next thunderstom. I will report back once I see how it works along with any refinements. As always, I have placed the code and diagrams for this project in a github repository. 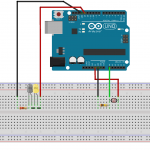 It includes code that can be compiled and uploaded via the Arduino IDE and diagrams that can be viewed or edited with Fritzing. Everything else I’ve read suggests a photoresistor is too slow for this purpose. Most circuits suggest using a phototransistor for faster response. I read the same. I did however catch lightning with this build. Also a nerd into photography. Do you have a link to the lightning shot? curious to see how it came out? 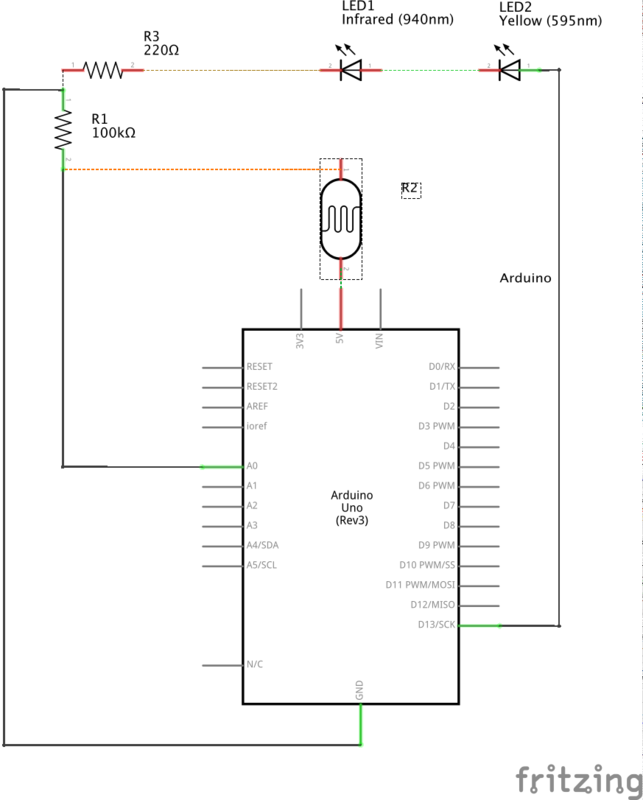 a few years I am working on a similar project, today I will build yours with some modifications, I will put a photocoupler to communicate with the camera, I will also use an IR sensor to filter the visible light.